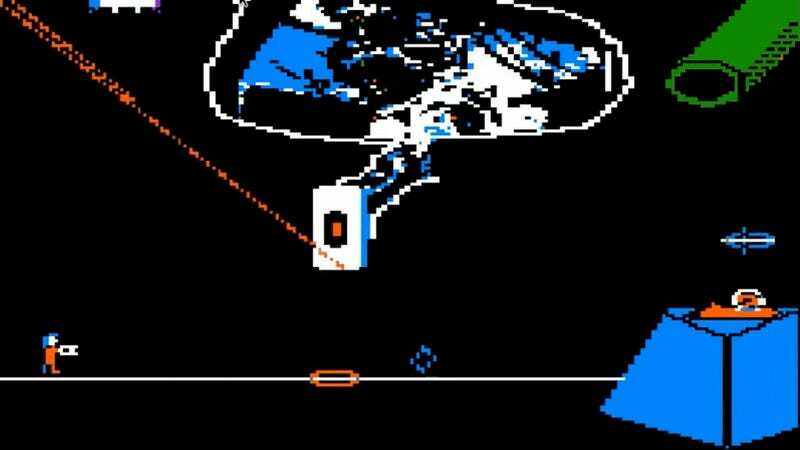 Two things that persistently hold a special place in geek hearts are the Apple II desktop computer and the video game Portal. What happens when you put them together? Magic. Vince Weaver, an assistant professor at the University of Maine’s Electrical & Computer Engineering department, has very generously created a version of the beloved game using Applesoft BASIC. He uploaded a video of his game in action to YouTube and I think this guy’s my new favorite vlogger. Weaver has made his work available on his site and the game can be played on an Apple II, a downloadable emulator or through an in browser emulator. He also has a couple of other delightful projects worth checking out. The specs for that excellent Back to the Future time circuit seen in the video can be found here. And a chiptune cover of the Monkey Island theme song played on a Raspberry Pi can be heard here.